Roy Wheeler Realty Co. MLS# 587345 - 55 High Meadows Ln, Scottsville, VA 24590 - Roy Wheeler Realty Co. 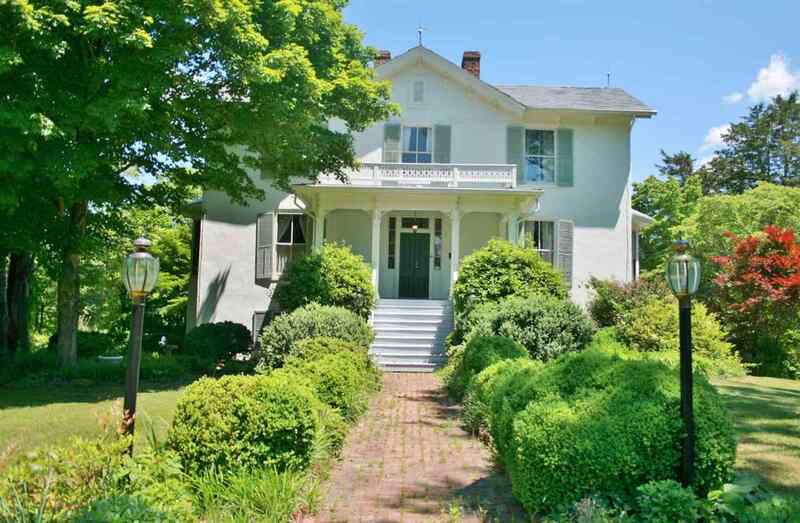 The High Meadows Inn & separate Carriage House are two homes sited on 13 acres ready for development at the entrance to the town of Scottsville. Zoned Village Residential Medium Density, this property offers potential for additional units to be built. The Inn, circa 1832, was made new again through an EXTENSIVE renovation. Completely remodeled with all furnishings included, it could serve as a home, bed and breakfast, wedding destination immediately. The possibilities for this property are endless! The 17 rooms are tastefully furnished and decorated including five guest rooms — and two suites in the Carriage House built in 1990. A commercial kitchen, several dining rooms, gym and vineyard round out this tranquil step back into yesteryear. Directions: Route 20 South to Scottsville. Turn Left onto High Meadows Lane BEFORE the rooster at Lumpkins Restaurant. Home is straight ahead., driveway veers to the right.